Equality and diversity in the built environment. Read More from the Design Council. CITB’s Be FaIR Framework provides a structured approach to developing fairness, inclusion and respect in construction companies. - Increasing productivity through improved staff engagement and loyalty. - Cutting costs associated with staff turnover. - Reducing the likelihood of the skills you've invested in moving to a competitor. This is a method to embed thinking about diversity and inclusion in every piece of work that is undertaken, and to demonstrate that the Public Sector Equality Duty is being met. Like a risk assessment process, a DIA is a tool that helps any programmes, policies, and projects – and the way that services are designed, built and operated – to work well for employees and passengers. It anticipates the likely effects of the work on the characteristics protected by the Equality Act: age; disability; gender; gender reassignment; pregnancy and maternity; race; religion or belief; sexual orientation; and marriage and civil partnerships – in short, everyone. Once any potential negative impacts have been identified, the DIA can be used to plan ways to remove or mitigate these, where possible. DIAs can also be used to promote best practice. An example of a Diversity Impact Assessment can be found here. The BEPE Project is a joint government / Mayor of London Paralympic Legacy Project, that is building on the legacy of the London 2012 Olympic and Paralympic Games – the ‘most accessible Games ever’. The aim of the project is to make inclusive design a key part of built environment training and education to ensure that in the future all built environment professionals have the skills, knowledge and confidence to deliver inclusive projects. Read more. What is the city but the people? 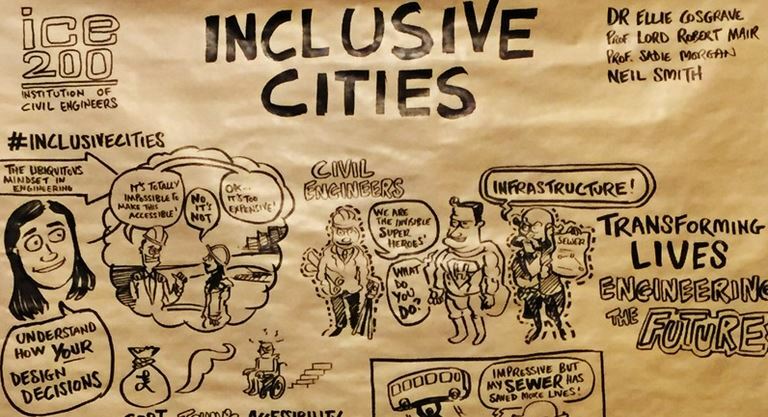 The role of the civil engineer in creating inclusive cities. The Institute of Civil Engineers has published in-depth paper 'What is the city but the people? The role of the engineer in creating inclusive cities’ which challenges industry and engineers to think harder about designing and building more inclusive cities. April 2018. Download the discussion document here. A wide range of inclusive design solution guidance already exists. 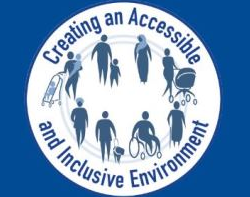 This standard brings that diverse advice together to provide a definitive source of authoritative recommendations on inclusive and accessible design for the external built environment. This is the first part in a two part standard. Part 2 deals with designing accessible and inclusive buildings. In 1999, officials in Vienna, Austria, asked residents of the city's ninth district how often and why they used public transportation. "Most of the men filled out the questionnaire in less than five minutes," says Ursula Bauer, one of the city administrators tasked with carrying out the survey. "But the women couldn't stop writing." The majority of men reported using either a car or public transit twice a day -- to go to work in the morning and come home at night. Women, on the other hand, used the city’s network of sidewalks, bus routes, subway lines and streetcars more frequently and for a myriad reasons. Read More.